Your overall mood and energy levels during the day are highly influenced by the kind of sleep you’re getting at night. 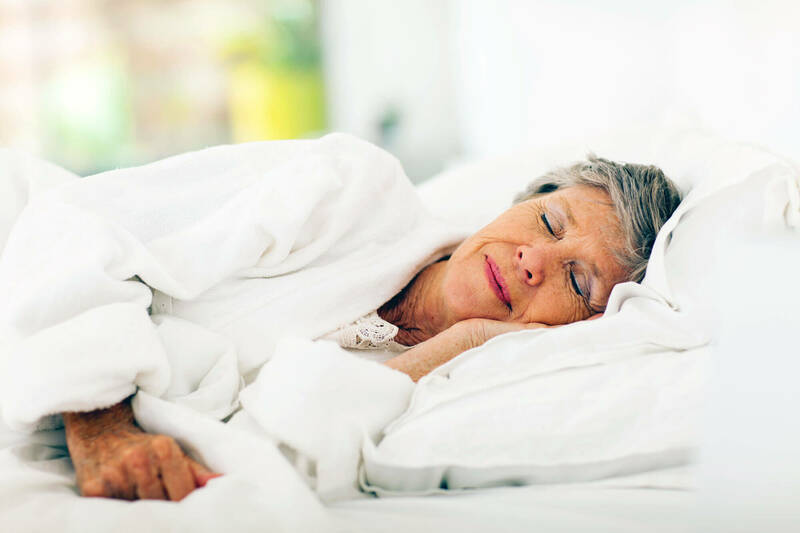 Unfortunately, many older adults report difficulties sleeping through the night, and as a result they have lower energy during the day. There are a number of things you can do to make sure you are getting the kind of natural, productive sleep you need to stay mentally focused and emotionally balanced and have a great day. Maintain a regular schedule. Your body is on a circadian rhythm – the natural cycle between sleep and wakefulness. Only by maintaining a regular schedule can you avoid throwing it out of balance. Keep a regular bedtime, and get up at the same time every day. If you lost sleep at night, make up for it with an afternoon nap. Increase daily light exposure. Getting enough natural light exposure is important for your body’s ability to maintain its circadian rhythm. Spend more time outside during the day. Avoid wearing sunglasses when possible. Keep curtains and blinds open during the day to let as much light into your home as possible. Decrease light exposure at night. In our modern age, we are exposed to more sources of unnatural light than at any other time in human history – and this can have a negative impact on our ability to get enough sleep. Turn off the TV and computer at least an hour before going to bed, and turn off overhead bulbs in favor of softer light from lamps. Avoid reading from backlit devices in favor of ones with darker screens. Make the bedroom a refuge for sleeping. Use heavy light-blocking curtains to make sure it is as dark as possible and reduce outside noise. Use white noise to cancel out any noise that does filter in, such as a fan or soothing, soft music. Keep your bedroom slightly cool and well-ventilated, as this will also help improve sleep.